Fall is here and so are the browns! Dream Stream 2013 | Browns are in & It’s On! Erin & all the guides made it out to the Dream Stream yesterday for some R&D and came back happy to report the fish are in & it’s on! Pic above says it all! Book 3 Trips Spring and/or Fall & get one trip free! 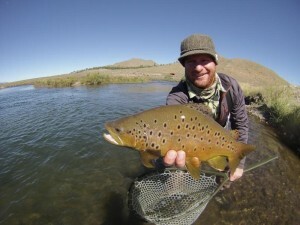 FLY SHOP FRIDAY HAPPY HOUR Tonight 3-7PM!